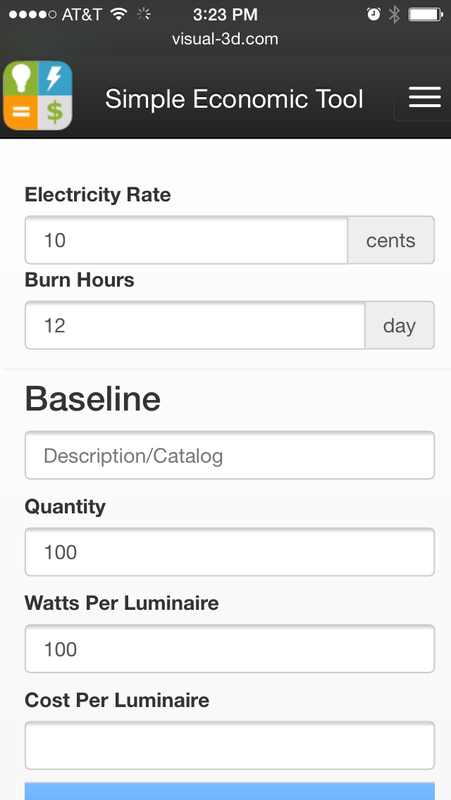 The Simple Economic Tool is for quick and simple electricity savings only analysis on your phone, tablet, or laptop. 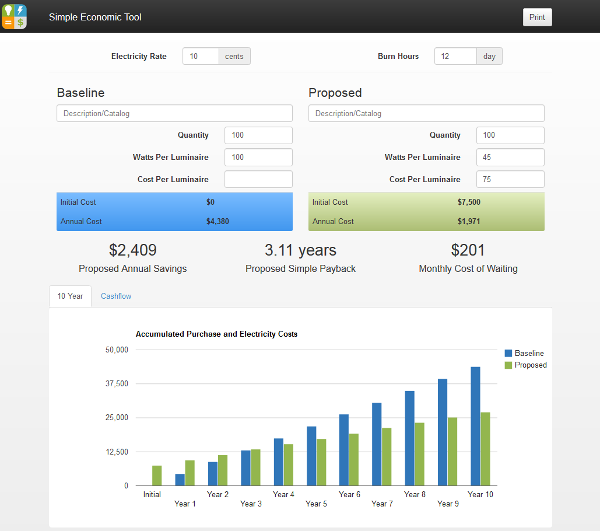 The Simple Economic Tool allows users to compare a baseline system (existing, or new install) to one proposed alternative. You can then view several 1st level analysis metrics like such as simple payback and cost of waiting. 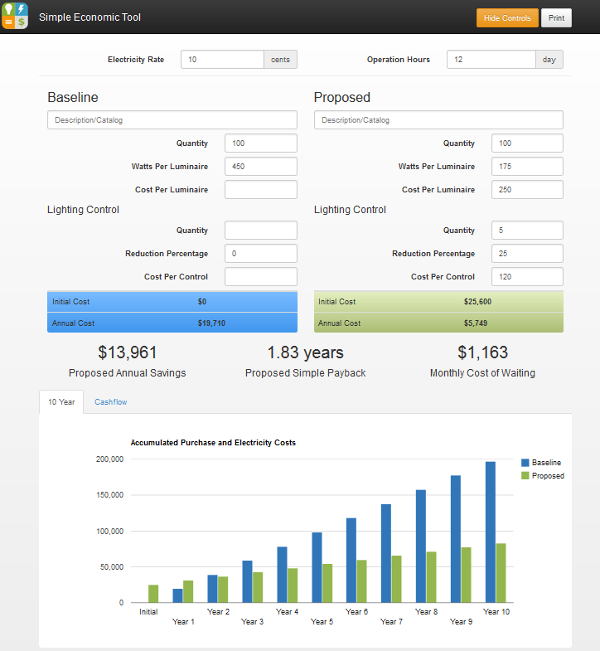 You can now estimate the savings from lighting controls in the simple economic tool. Click 'Show Controls' and then enter in the quantity of controls, estimated reduction factor eg 25%, and a cost per control. 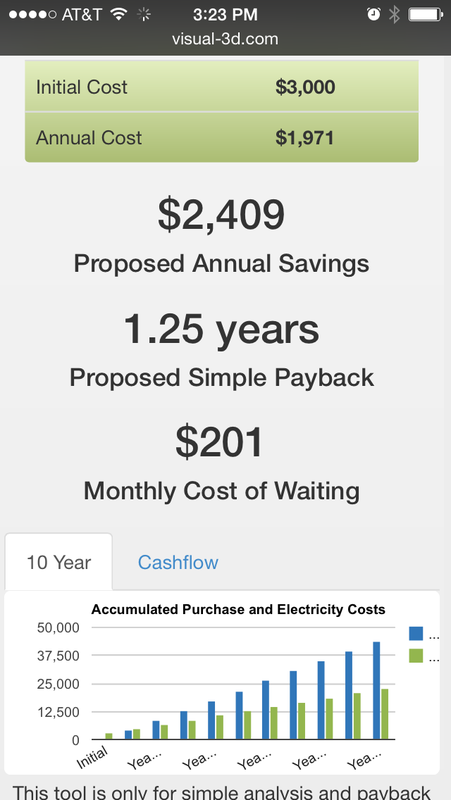 The additional savings will reduce annual cost and typically also reduce simple payback. You can toggle controls on and off by clicking 'hide controls' which will collapse the fields and remove controls from the calculation. For more complete and detailed economic analysis, use the Visual Economic Tool. Click the Print icon to open a new browser tab with a printable report will open. You can print this page from your browser to a PDF using a PDF printer like cutePDF. You can also copy and paste the URL of the print page to send the report information via email or text.